On this fabulous holiday you'll stay in the village of Minori and spend a week exploring the delights of the Amalfi Coast. First, you'll discover the picturesque towns of Amalfi and Ravello, which overlook the azure waters of the Mediterranean Sea. In Sorrento, there's an opportunity to learn how the area's famous liqueur limoncello is made, followed of course by a tasting. Next, you'll admire picture-postcard scenery as you drive to a winery in the Amalfi Hills and try some locally produced wines alongside a lunch of cheese and salami. 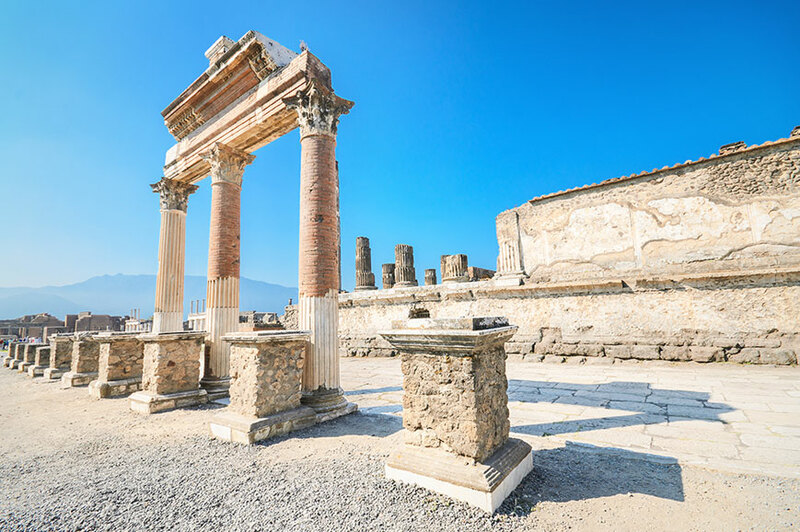 For those who want to explore further there are optional trips to Pompeii and the island of Capri, or perhaps you'd prefer to spend some time just relaxing at the hotel. 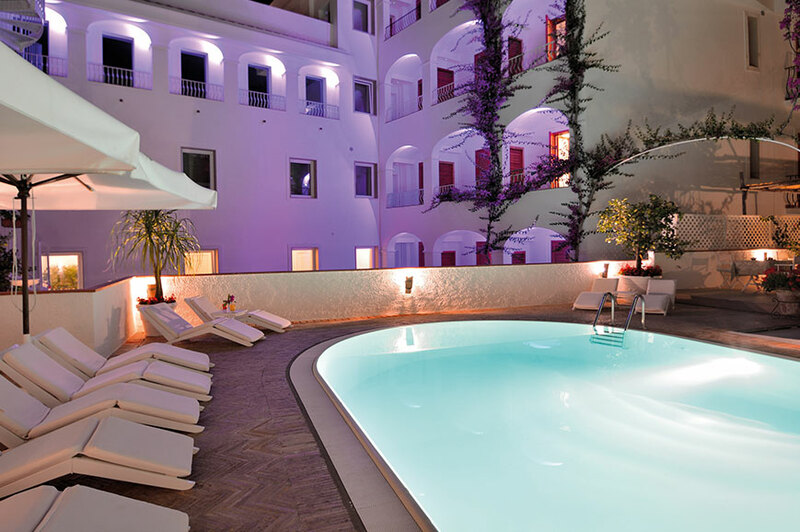 Hotel Villa Romana is a 4- star family run hotel situated on the stunning Amalfi Coast. Located in the small town of Minori which is home to narrow streets, townhouses, bars, cafes and a sea front promenade. Just 200m from the beach and in the heart of the Amalfi Coast, it is great for relaxing and exploring. As is in the name, it was formerly an ancient Roman Villa, and this is evident through the classic style and comfort of the hotel. They serve delicious Mediterranean cuisine with seasonal and local produce. Hotel facilities include; swimming pool, American bar, restaurant amd free Wifi throughout the hotel. Bedrooms are classically furnished and equipped with; direct dial telephone, TV mini-bar, air conditioning, hairdryer and safe. 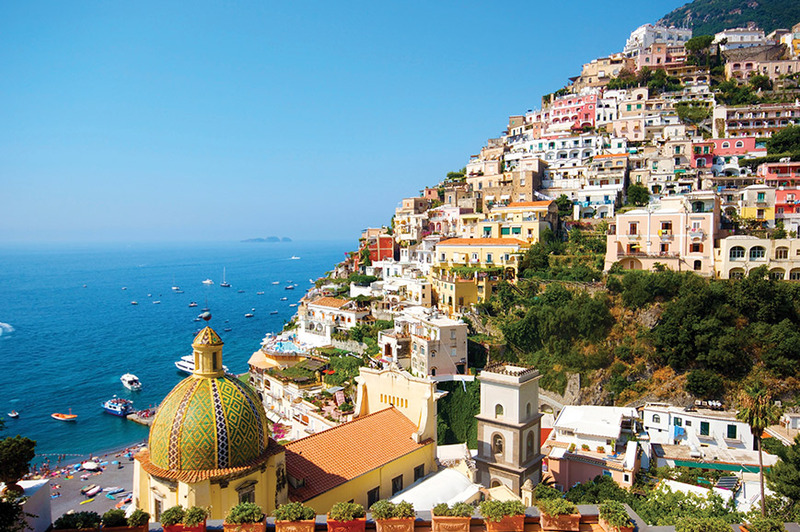 After your scheduled flight to Naples we'll transfer you to the spectacular Amalfi Coast. Your 4-star hotel in the village of Minori is surrounded by pretty beaches and lush green hills dotted with lemon and orange groves. Settle in before you head to the restaurant for dinner this evening. Your sightseeing of this beautiful region of Italy begins today, as you uncover the charms of two of its most picturesque towns. First we'll visit Amalfi, set between the mountains and the sea and dominated by an impressive Romanesque cathedral said to hold the remains of St Andrew. We'll then drive high up the cliffs to Ravello, which is perched above Amalfi overlooking the sparkling waters of the Mediterranean Sea. The wonderful gardens of Cimbrone and Villa Rufolo are memorable highlights here, and there's also an impressive cathedral to admire. Today you'll head to the lively resort of Sorrento, which is set above the Bay of Naples. It has long been a haunt of the rich and famous, and on this included excursion you'll soon see why. There's stunning scenery, a fantastic variety of elegant restaurants and pavement cafés and many wonderful shopping opportunities. You'll also get the chance to learn how the area's famous liqueur, limoncello, is made, with a tasting included of course. During free time, why not shop for souvenirs - handmade leather sandals are a speciality here, and after your tasting, a bottle of limoncello might also be top of your list. 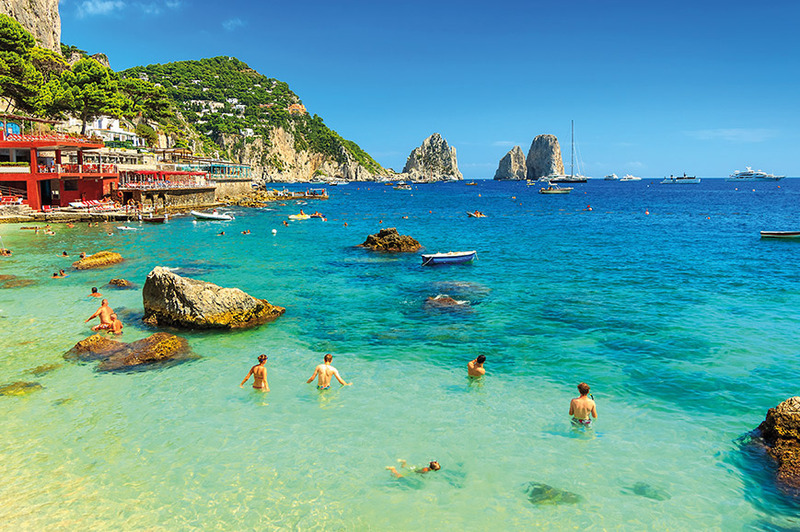 An optional excursion today gives you the chance to set sail for enchanting Capri, a favoured spot of the international jet set from the 1950s to today. Highlights of your guided tour include the hillside village of Anacapri, the wonderful Gardens of Caesar Augustus and the Faraglioni rocks. How you spend your day is completely up to you. You can stay close to your hotel if you wish, or why not come with us on an optional trip to Positano. This will take you on another scenic journey along the Amalfi coastline, so sit back and enjoy the views. Once in Positano soak up the exclusive feel of this lovely resort as you browse chic designer boutiques, or maybe while away the time on the beach. We're off on a wine-tasting trip today, which is a must on any holiday to Italy! Your included excursion begins with another chance to take in the Amalfi Coast's sublime scenery as we drive way up into the hills to a winery. We'll sample a handful of locally produced wines here, which will be accompanied by a light lunch of cheese and salami. Back at the hotel, you might choose to spend a lazy afternoon by the swimming pool or on the beach with a good book. We'll transfer you to the airport for your return flight to the UK today. The deposit on this holiday is £200pp and the balance is due 14 weeks before departure.